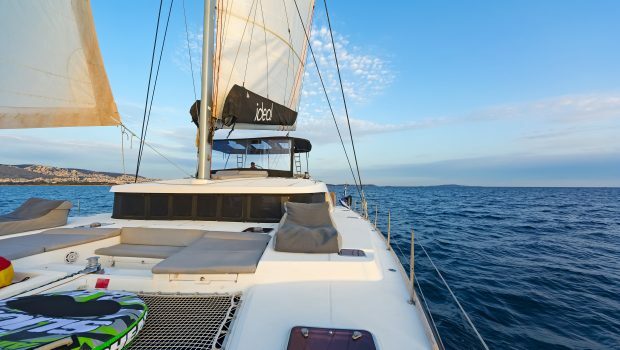 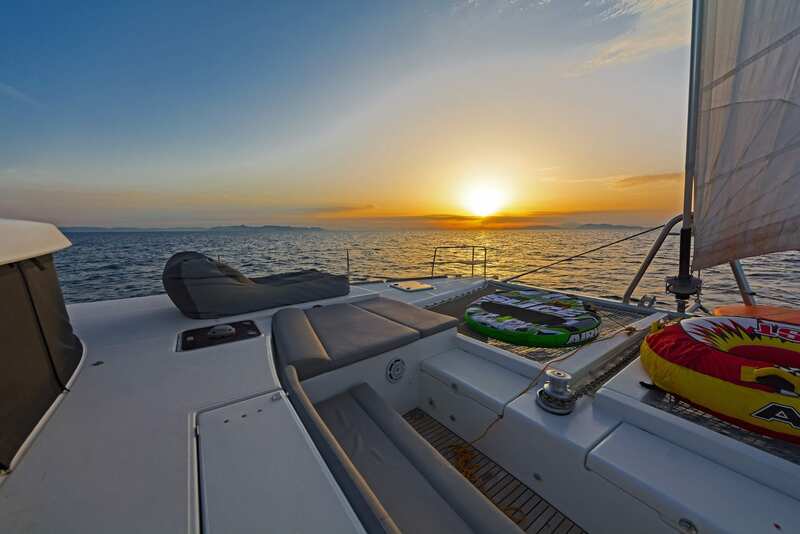 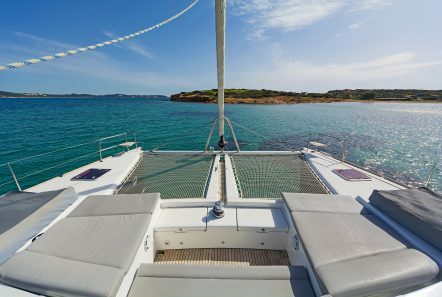 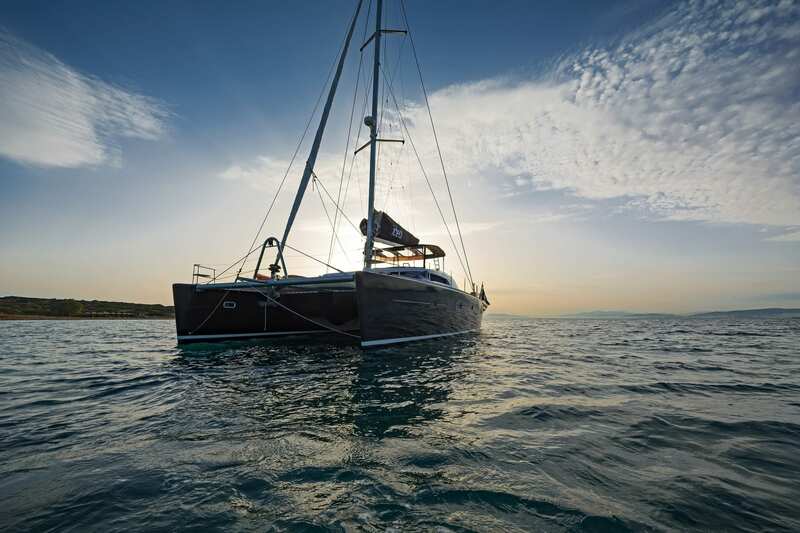 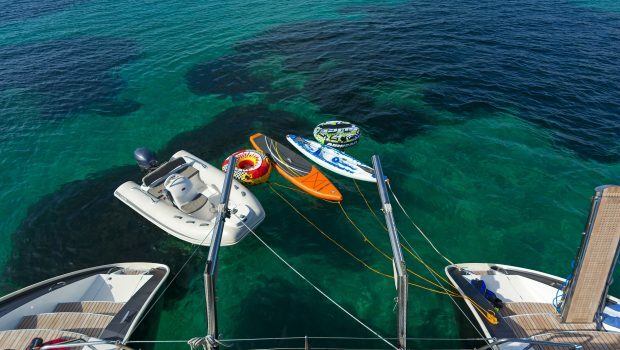 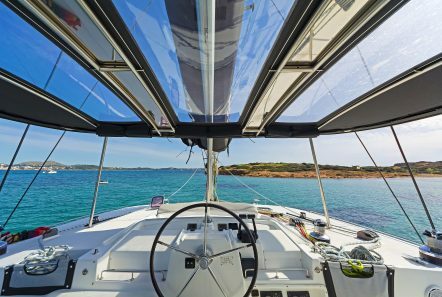 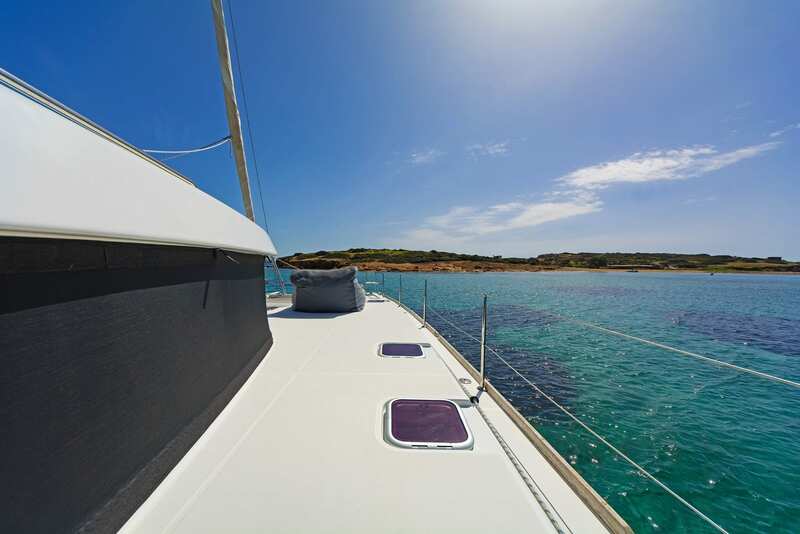 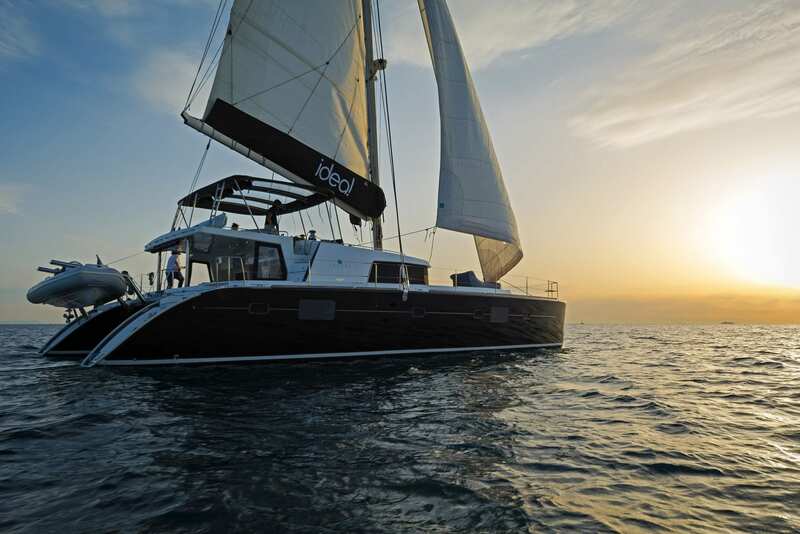 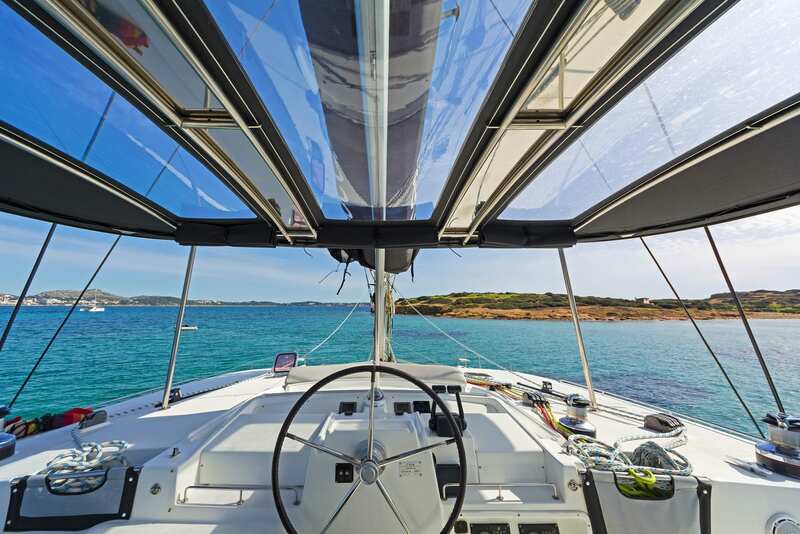 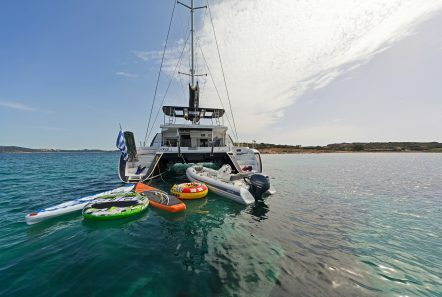 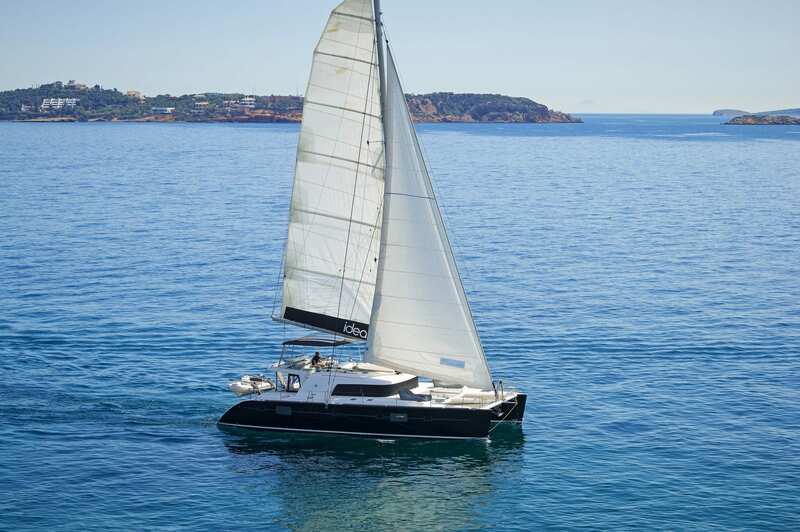 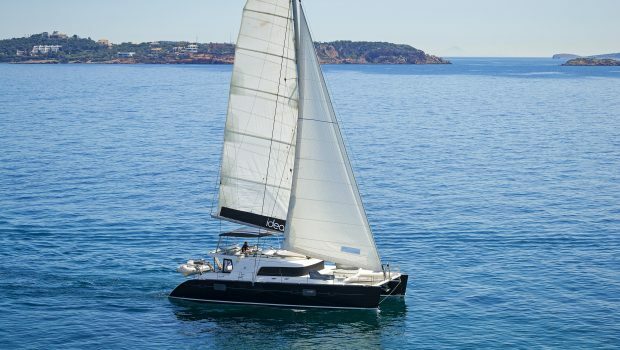 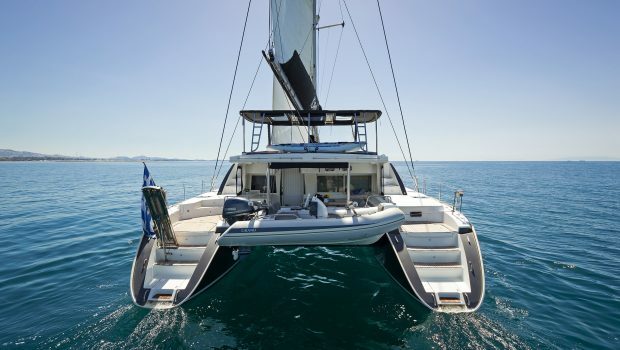 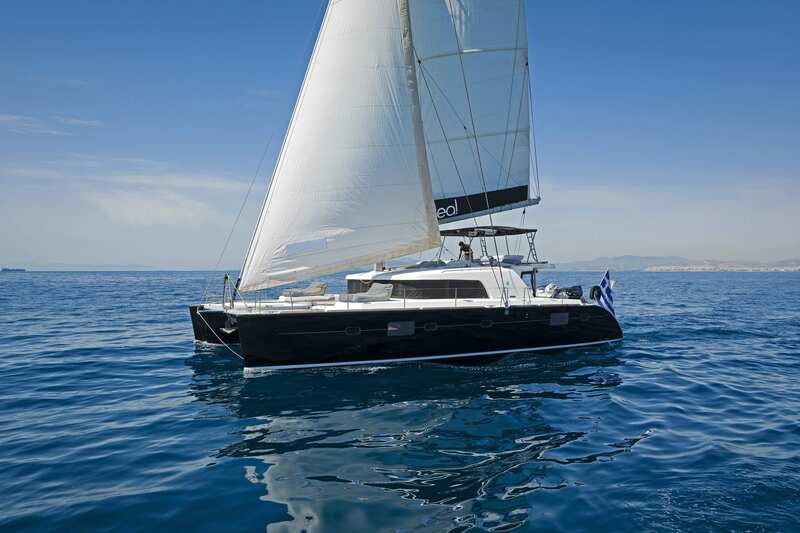 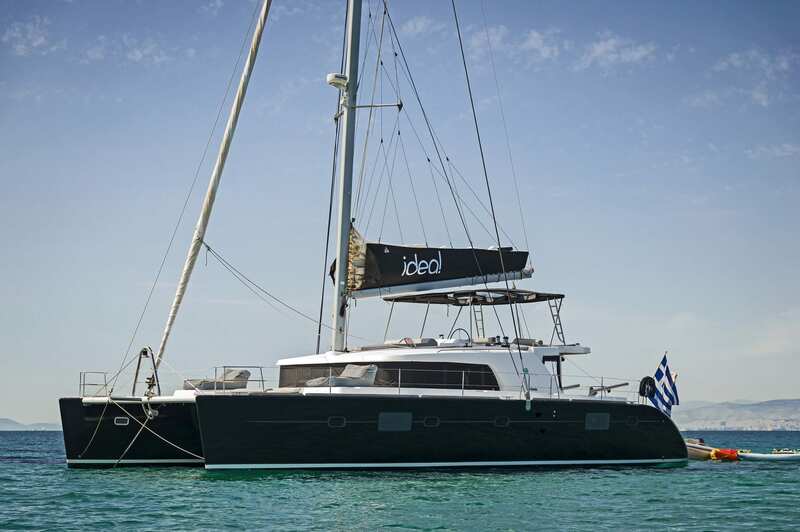 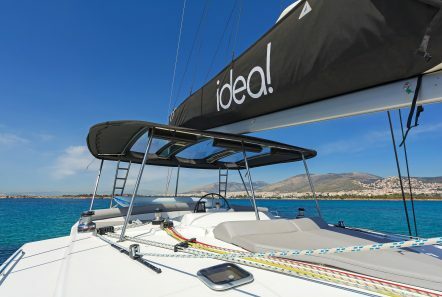 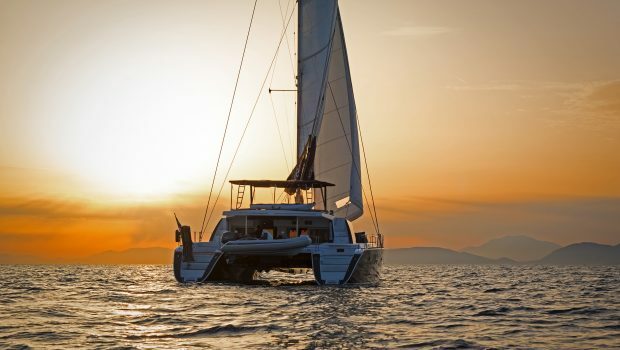 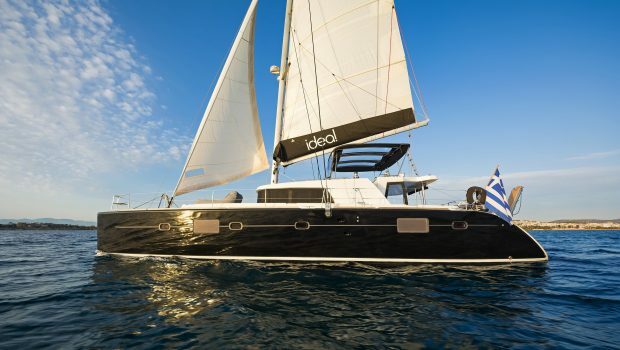 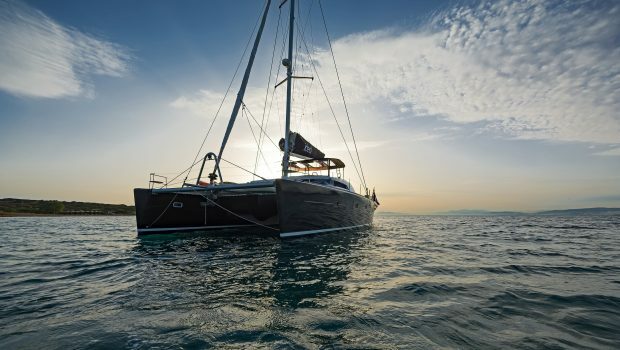 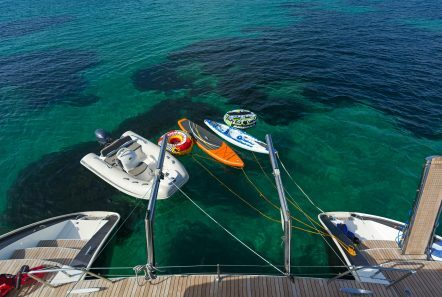 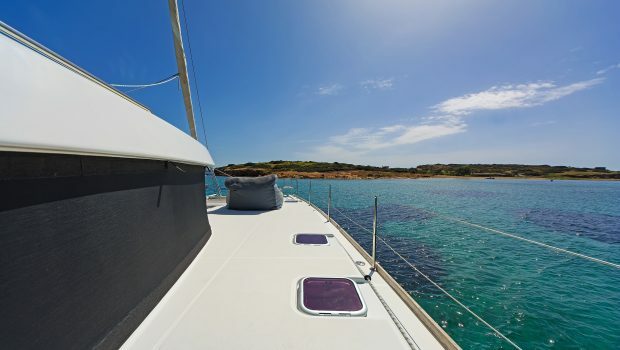 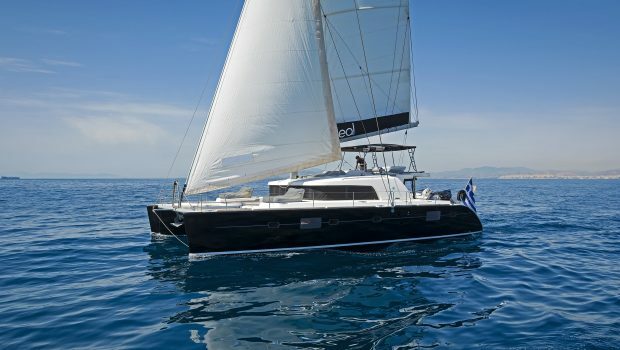 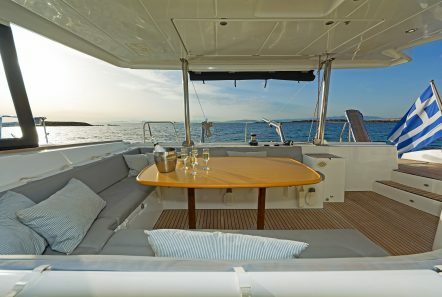 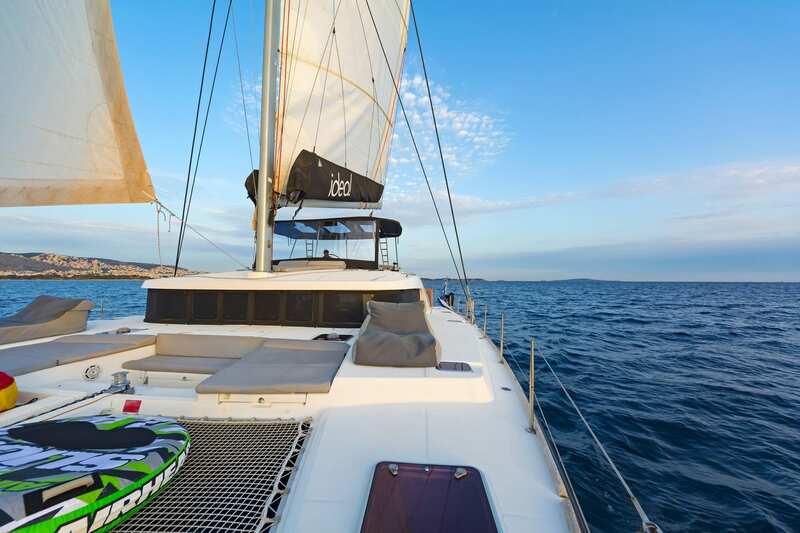 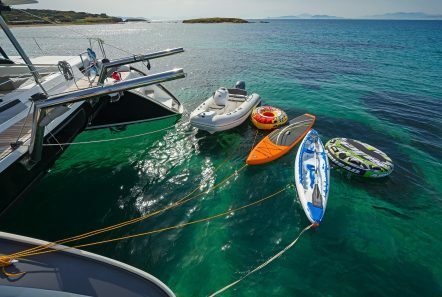 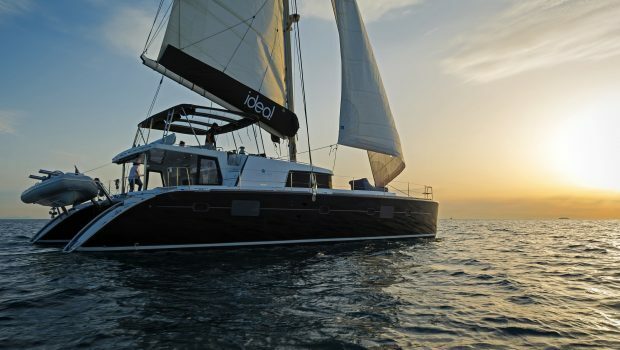 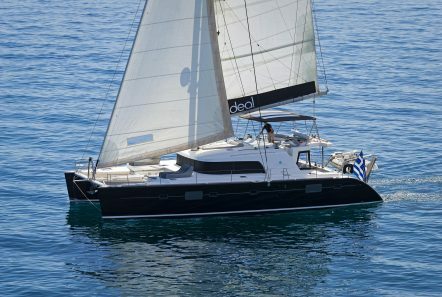 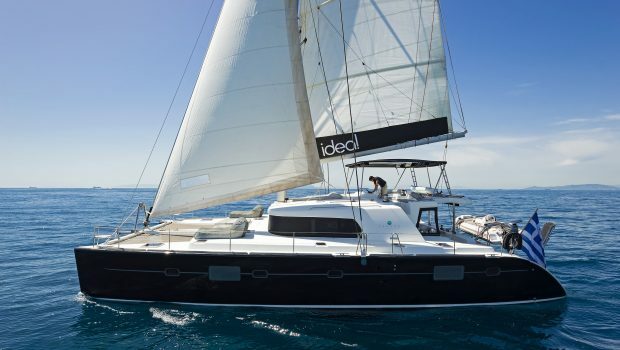 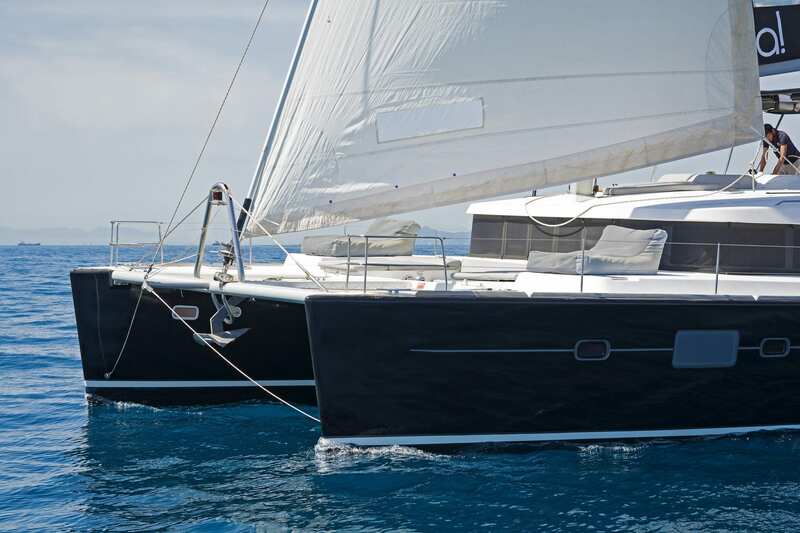 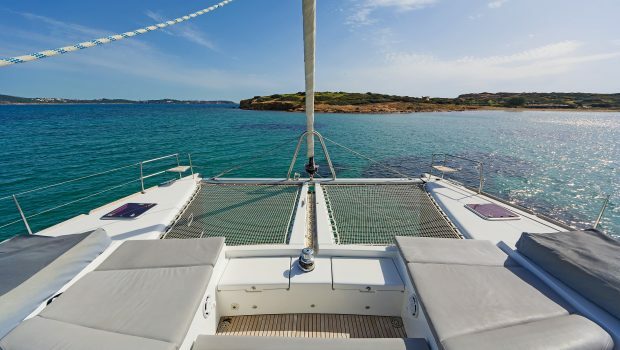 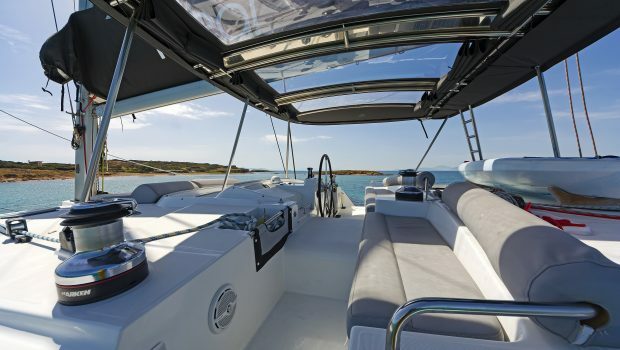 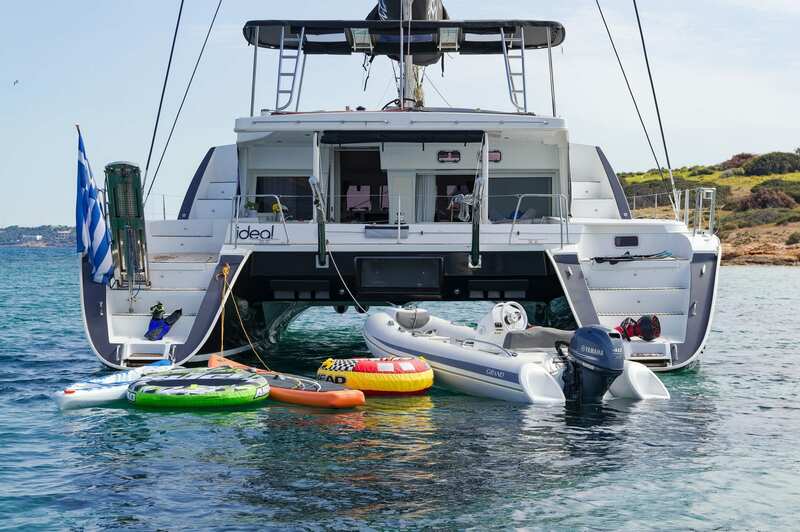 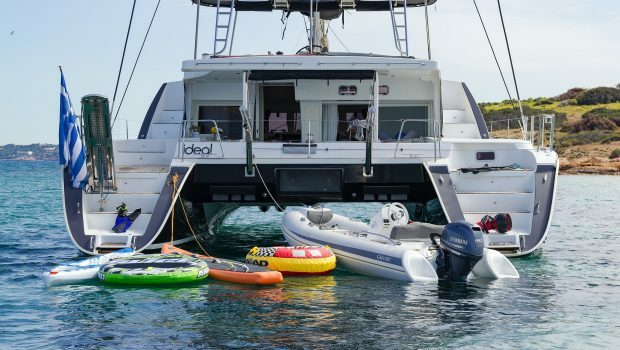 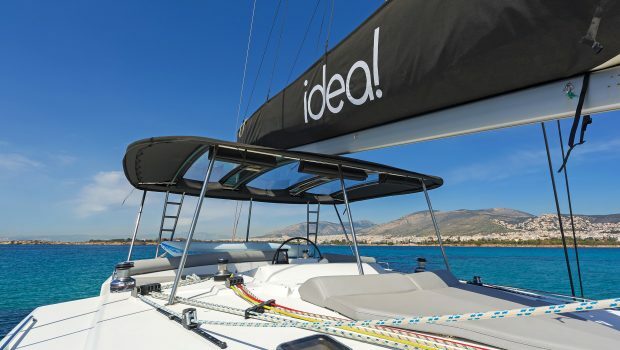 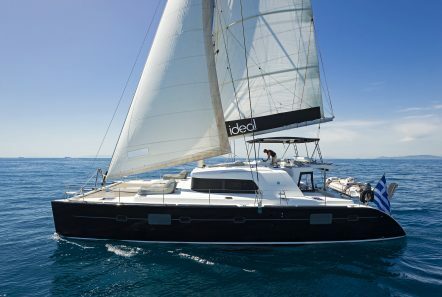 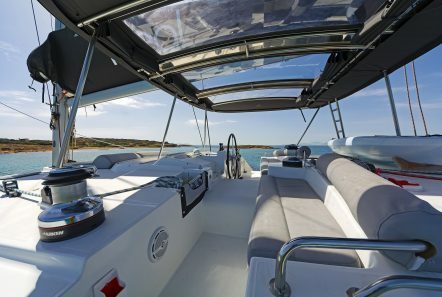 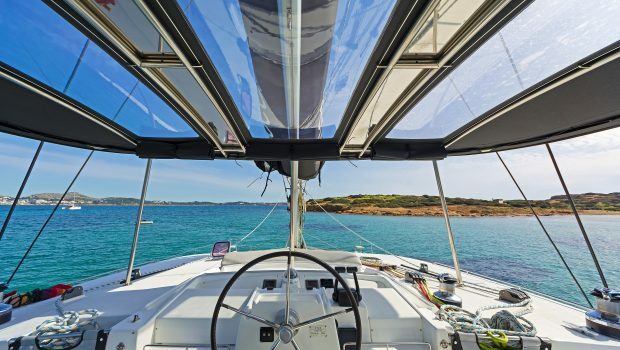 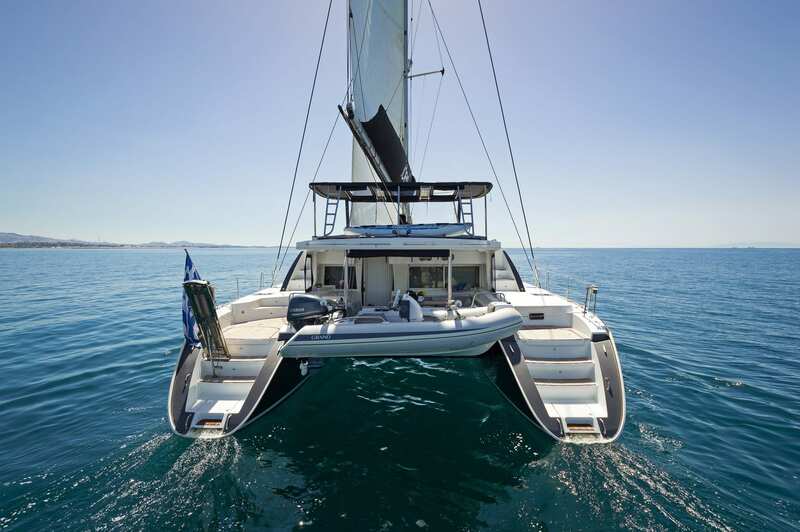 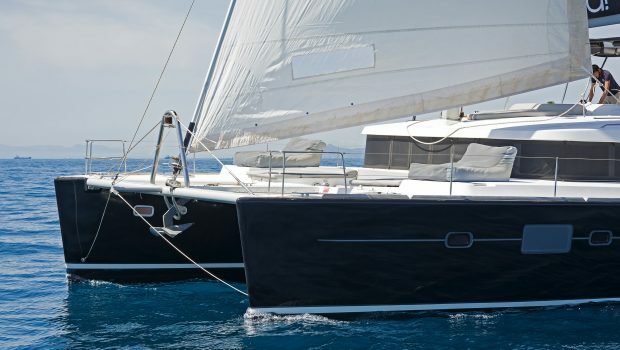 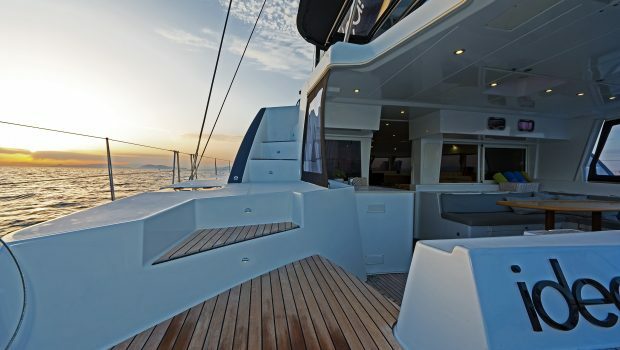 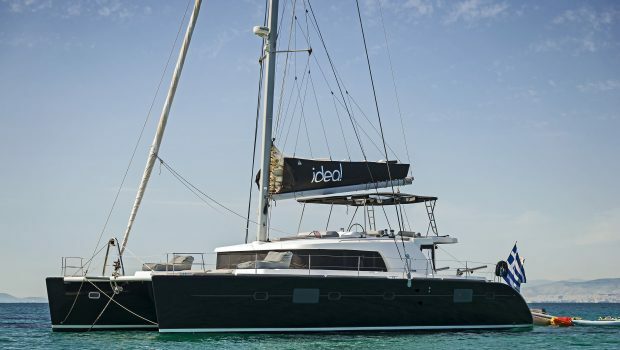 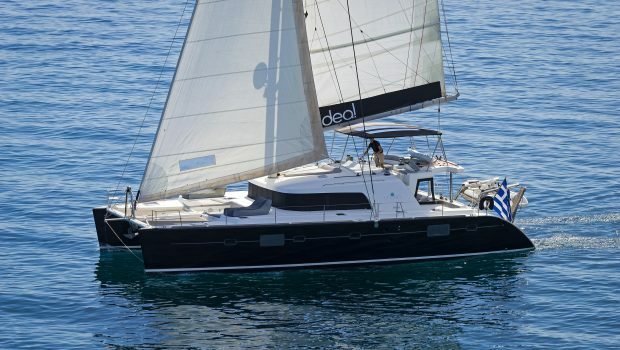 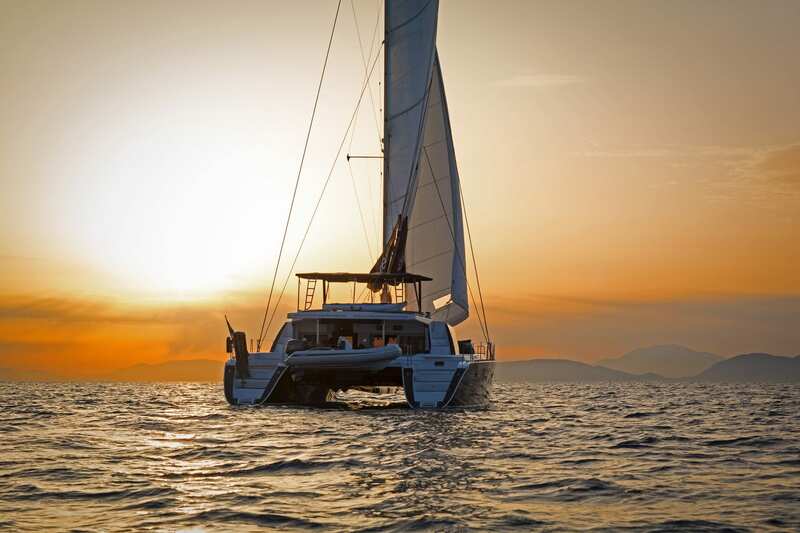 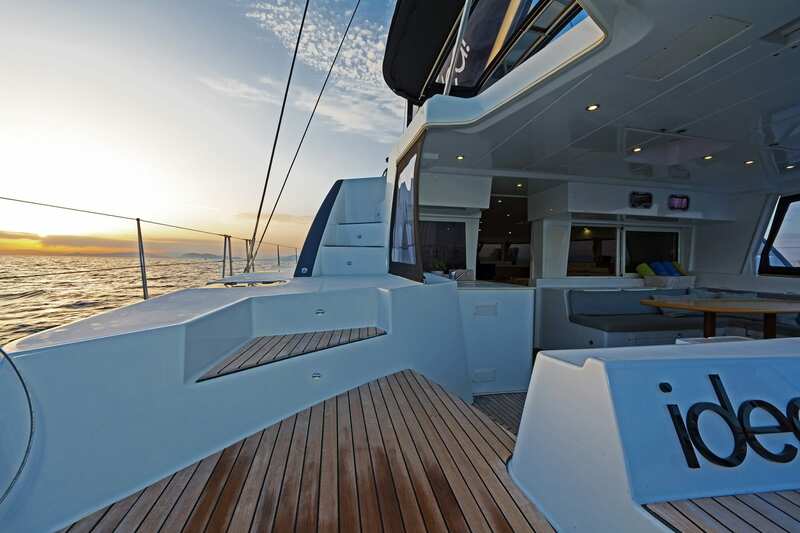 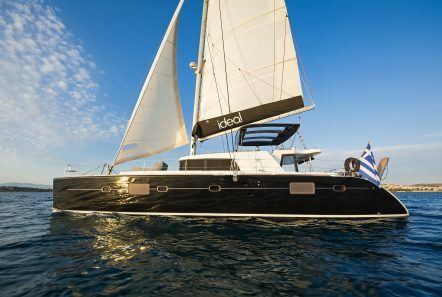 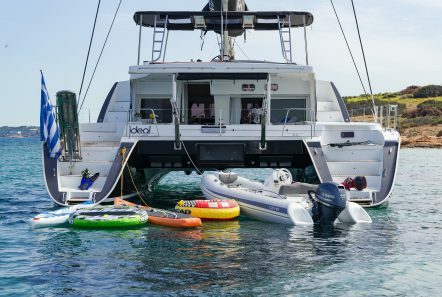 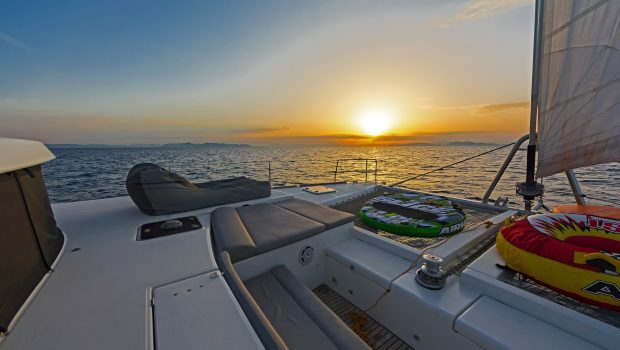 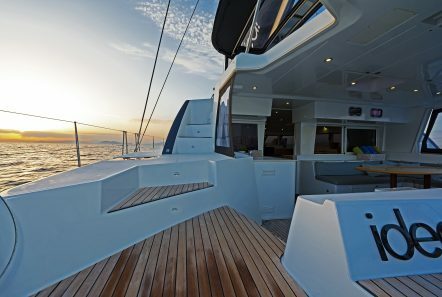 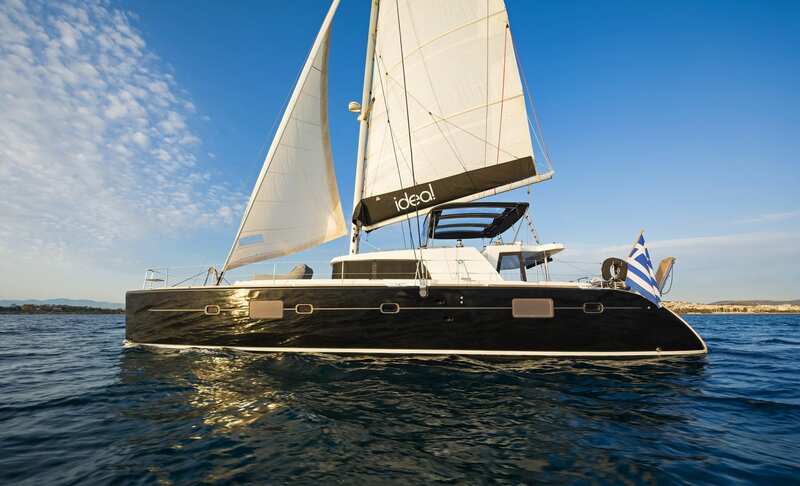 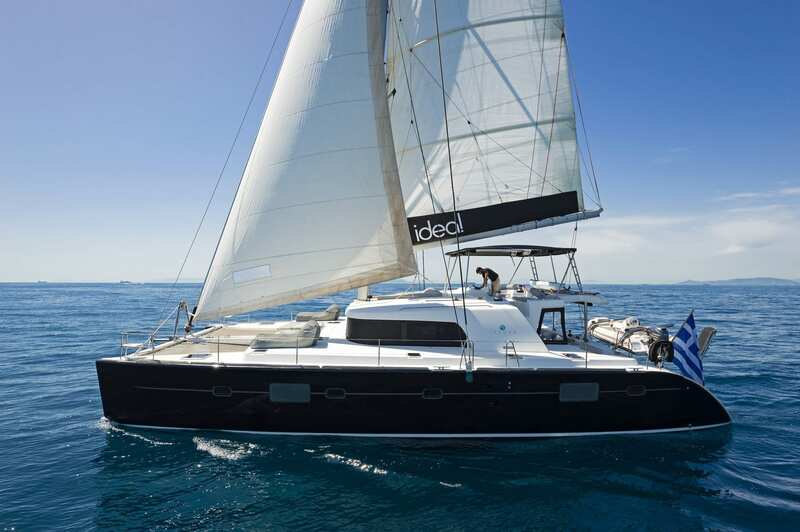 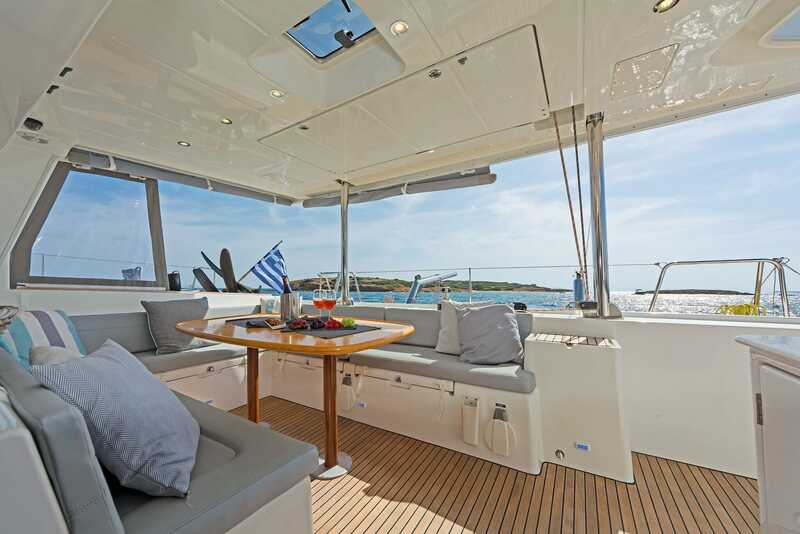 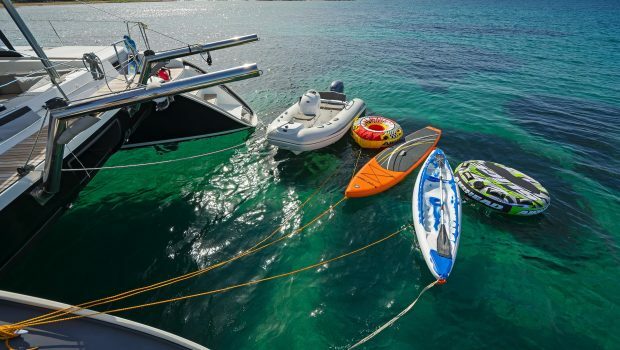 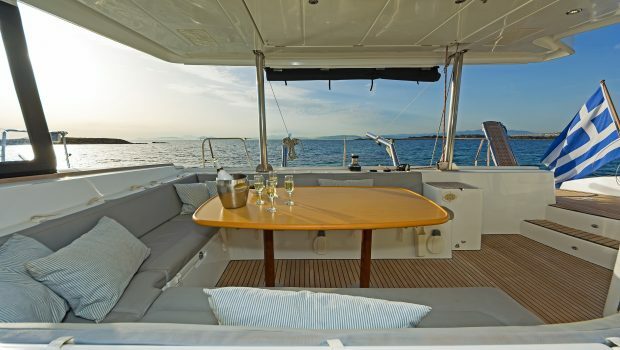 Sail Greece in style on board lovely catamaran IDEA, a beautiful Lagoon 500. 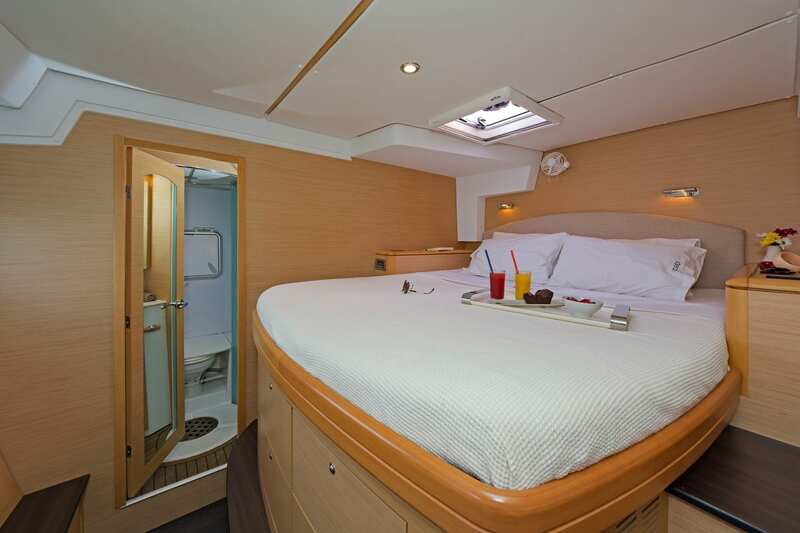 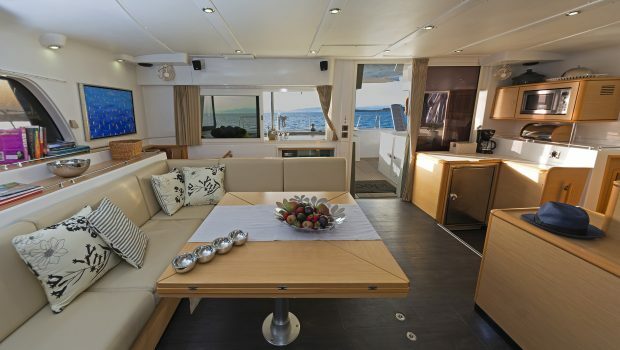 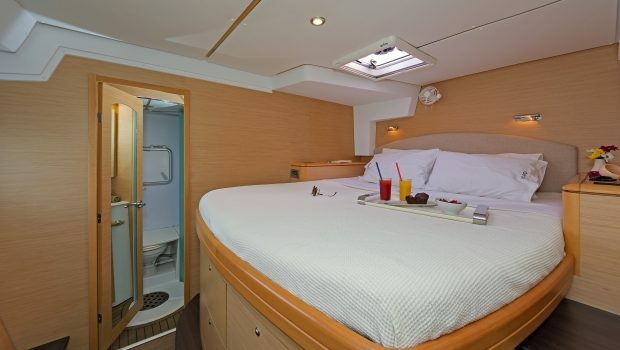 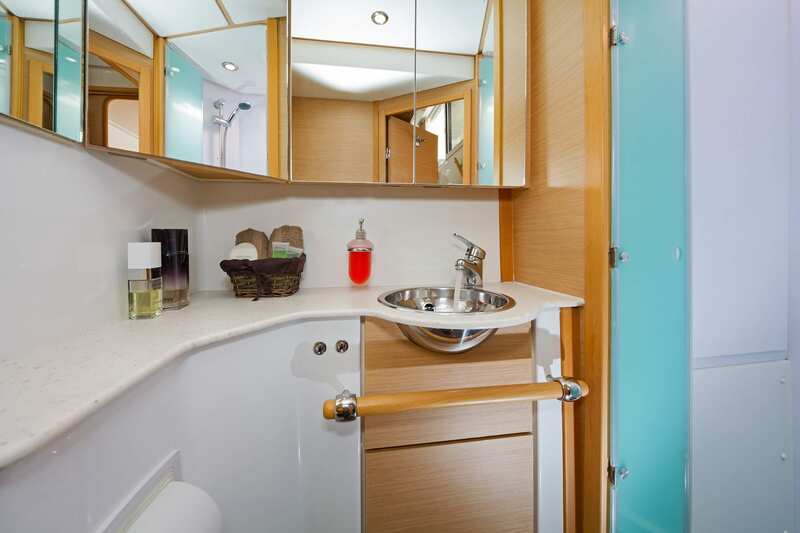 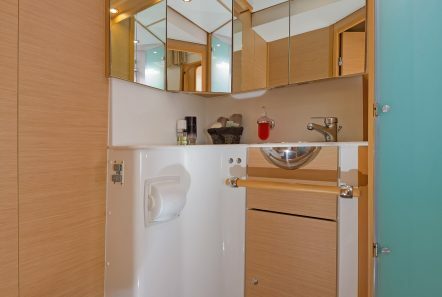 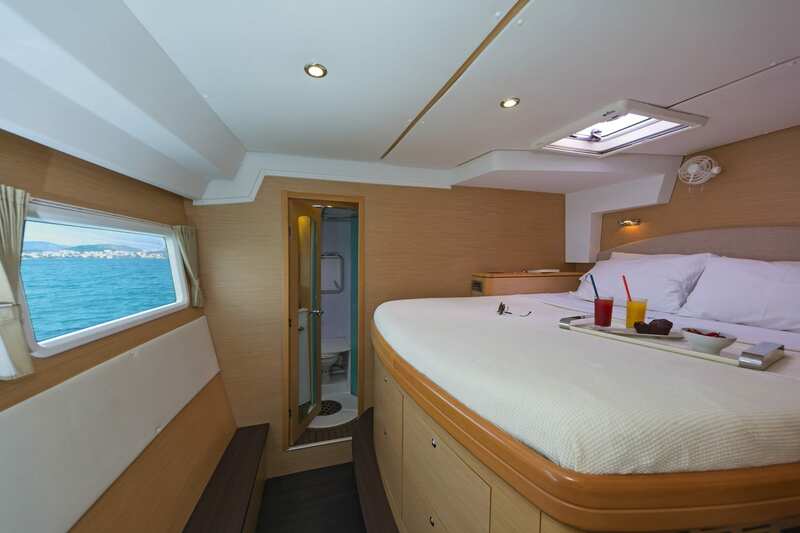 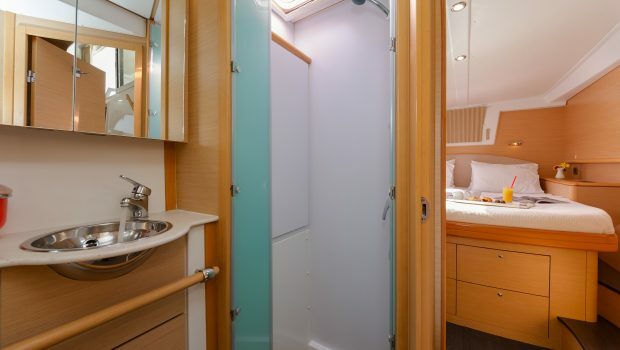 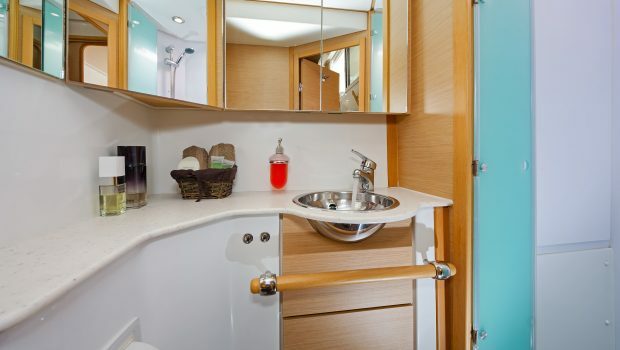 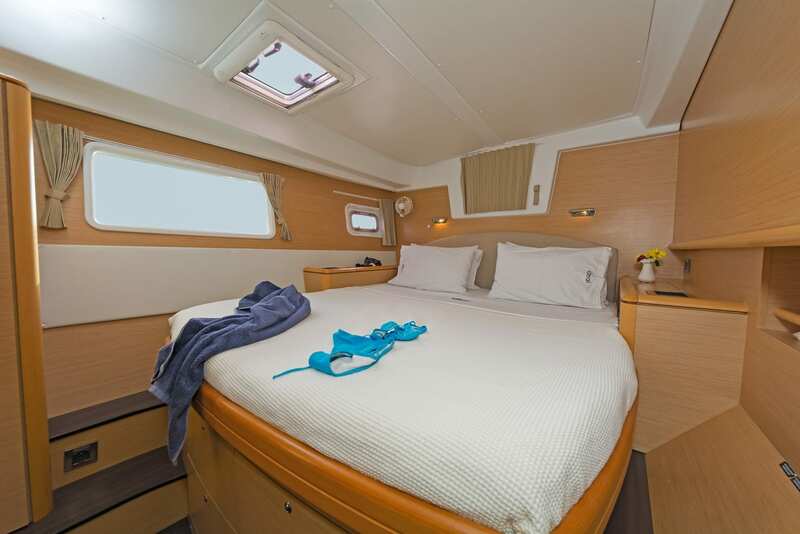 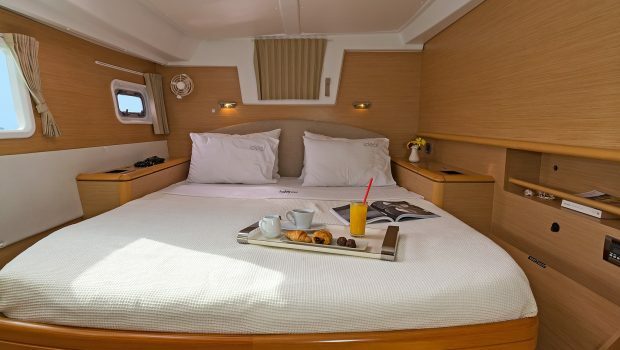 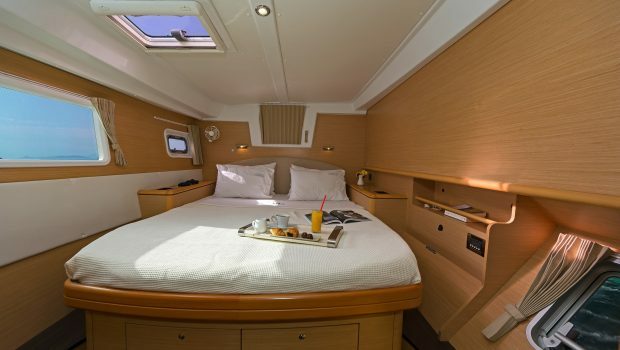 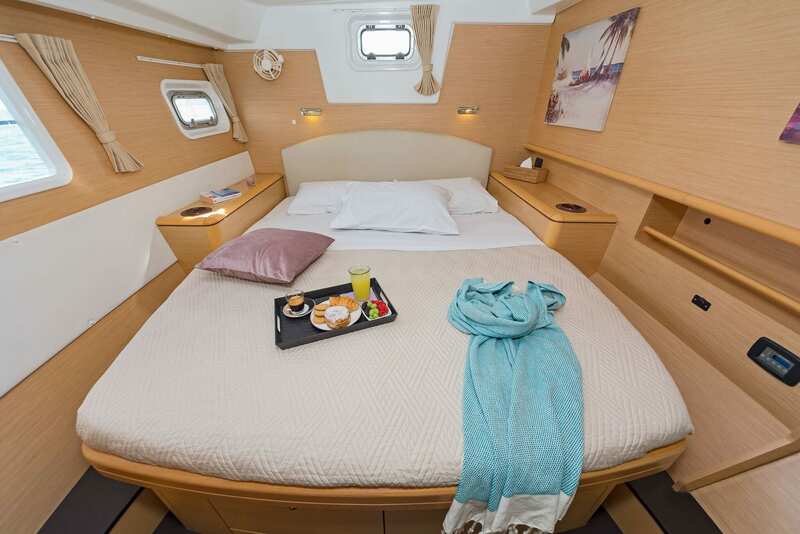 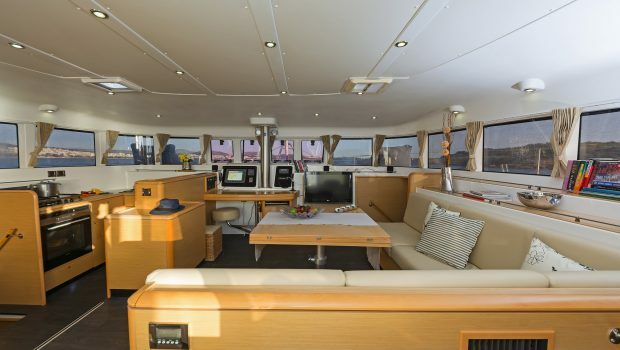 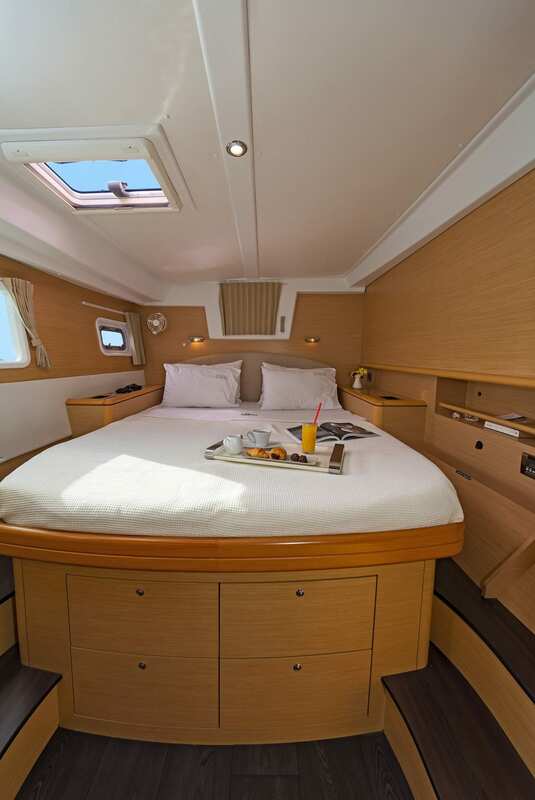 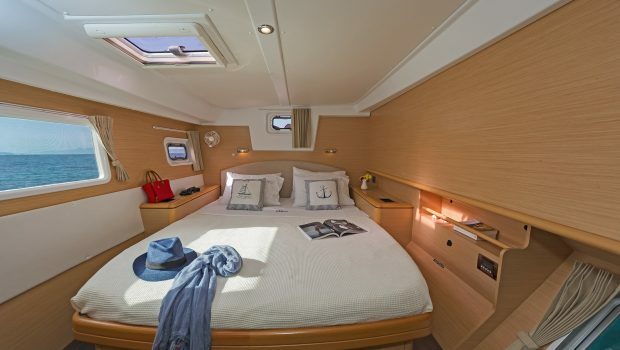 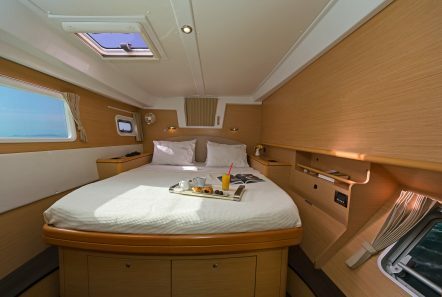 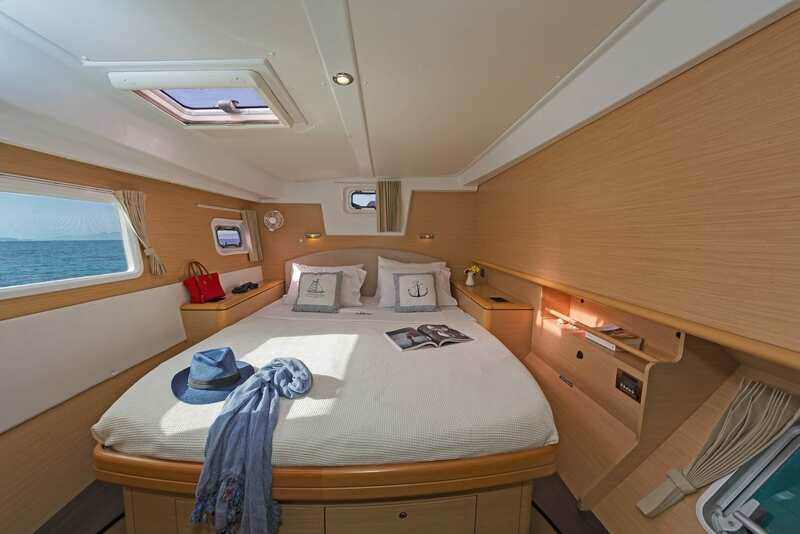 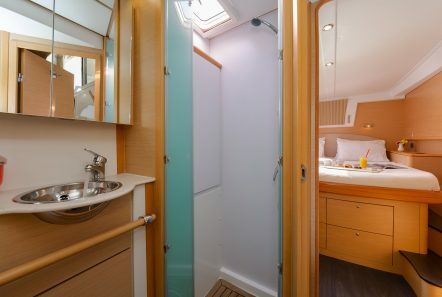 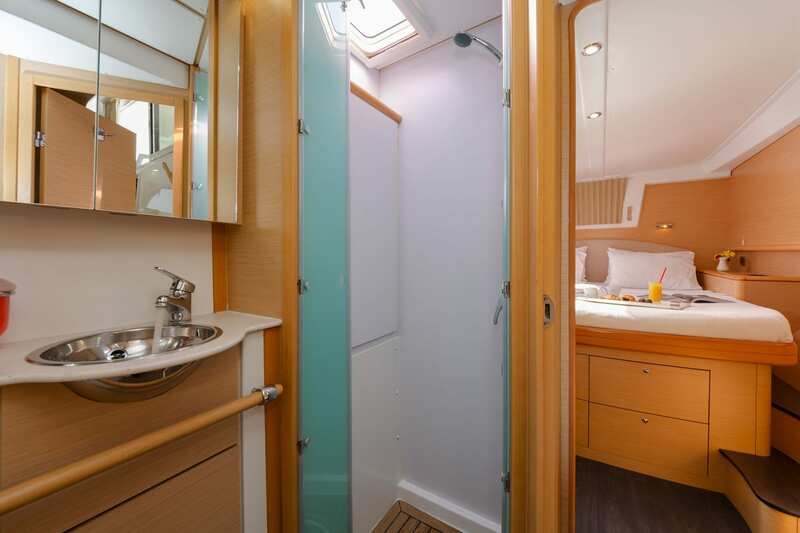 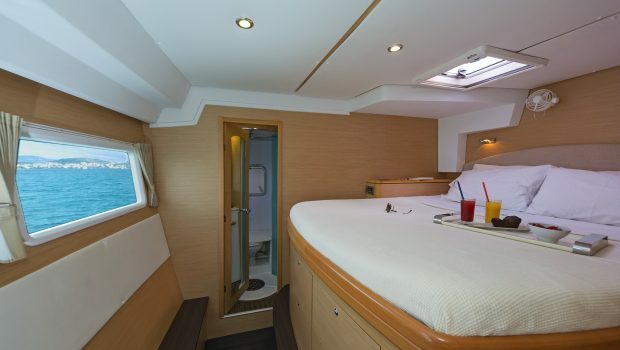 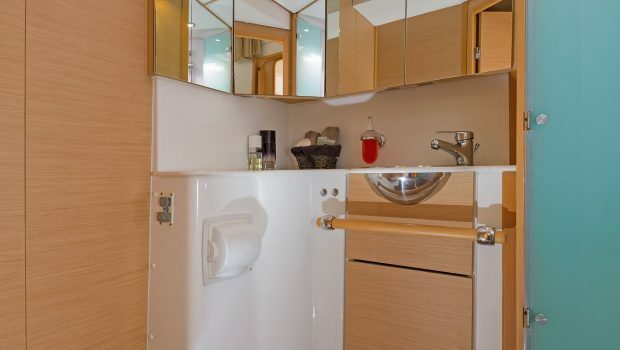 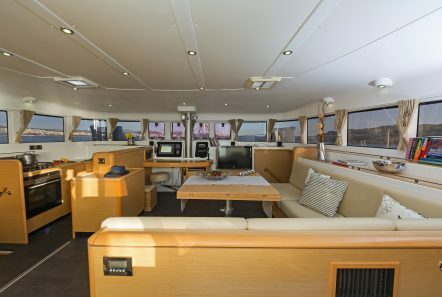 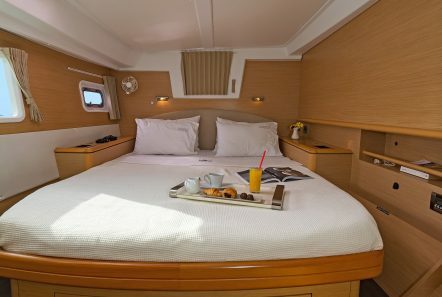 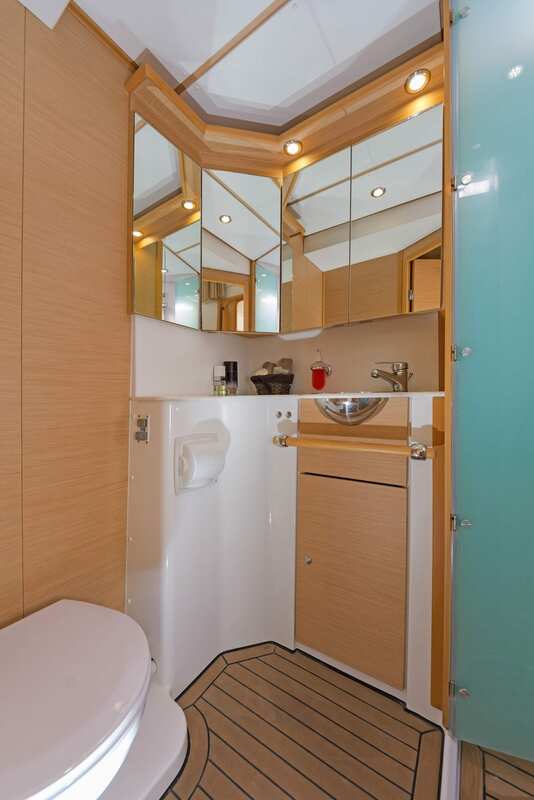 With five cabins (four double bedded and one twin bedded) she accommodates eight to ten guests comfortably. The salon is bright and open, with plenty of comfortable seating for all. 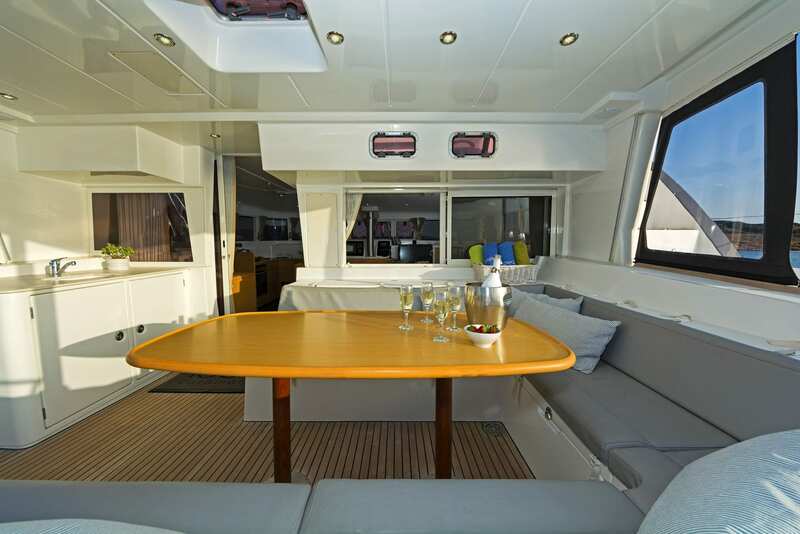 Dining can be enjoyed in this open area, or al fresco at the spacious seating area on the aft deck. 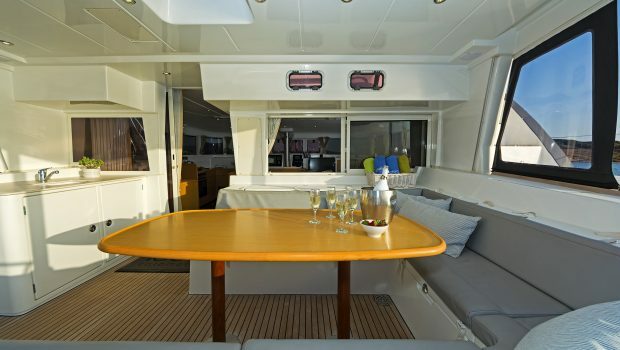 There is plenty of space outside to sun bathe and enjoy the beautiful scenery while cruising.